The current ISPN By-laws were approved in the ISPN Business Meeting that took place on Wednesday 10 October 2018, in Tel Aviv, Israel. 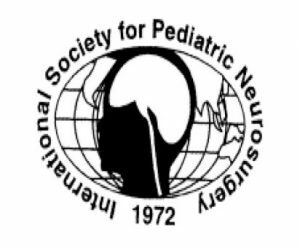 The International Society for Pediatric Neurosurgery (ISPN) was founded in 1972 when eleven neurosurgeons assembled in Chicago a year after attending a meeting in Paris, where it was decided that a society of pediatric neurosurgeons working throughout the world should exist. The energy for this stemmed from a shared belief that there was much to be learned about the craft of caring for children with neurosurgical illnesses and that by meeting to share knowledge gained, a more rapid evolution of our specialty would occur. The ISPN’s first meeting was held in Tokyo in 1973. The Constitution and Bylaws for conducting the ISPN’s business were adopted at this meeting of the ISPN and revisions were approved by the Society’s membership in September 1986 (Madrid), September 2003 (Monaco) and in September 2006 (Taipei), 2010 Amended for Incorporation (Jeju Island), 2011 (Goa), 2012 (Sydney). The ISPN is a not-for-profit organization and was incorporated in New York City, USA in 2010, enabling the Society to receive tax exemption from federal income taxation under Section 501(c)(3) of the Internal Revenue Code of the USA. Donations and contributions to the ISPN to carry out its mission are consequently tax-exempted. 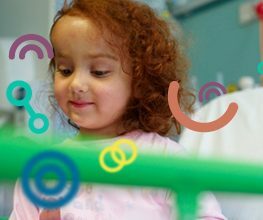 The Mission of the ISPN is to improve the well being, health and welfare of children requiring neurosurgical care throughout the world by scientific research, educational activities, exchange of information and close international cooperation. This mission will be pursued irrespective of class, color, caste, creed or economic circumstances. Promoting and supporting effective social, clinical and scientific communication between pediatric neurosurgeons, allied specialists, basic scientists, political and governmental bodies throughout the world. Developing and cementing relationships with other international organizations committed to the improvement in the well being, health and welfare of the children irrespective of class, color, caste, creed or economic condition of the children. Promoting and developing training schemes at a national and international level in pediatric neurosurgery supported by courses for developing countries and the provision of scholarships and exchange programs. Supporting and promoting continuing medical education within the society’s membership and ensuring the maintenance of the highest levels of scientific and clinical knowledge. Providing practical support to under-resourced colleagues working with underprivileged children in developing countries irrespective of class, color, caste, creed or economic condition. These by-laws shall govern the ISPN. They will be in compliance with the State of New York Not-For-Profit Corporation Law. If there be any conflict between the provisions of the Certificate of Incorporation and these By-Laws, the provisions of the Certificate of Incorporation shall govern. The by-laws will be reviewed annually by a standing committee and the Chairperson will report to the Executive Board. If substantial amendments are to be considered, these must be submitted in writing at a regular meeting of the Society and will be considered at the following regular meeting. Such amendments require a two thirds majority vote in order to be adopted. Minor amendments may be made at any meeting of the Executive Board, if supported by a two thirds vote; such amendments were made at the 31st Annual Meeting (Monaco), the 34th Annual Meeting (Taipei), the 38th Annual Meeting Jeju Island, Korea, the 39th Annual Meeting (Goa), the 40th Annual Meeting (Sydney), the 42nd Annual Meeting (Rio de Janeiro) and the 43rd Annual Meeting (Izmir). All members of the ISPN are encouraged to read the Constitution and By-laws and feel free to contact current Chairperson of the Standing Committee of By-laws. membership fees as determined by the Executive Board. grants, donations, legacies and gifts. proceeds of the activities organized by the Society. ELIGIBILITY: Membership in this category will be open to those neurosurgeons who are in full time pediatric neurosurgical practice or those with a significant interest in pediatric neurosurgery . Active members are expected to participate in all the activities of The Society. The member will be expected to attend at least one meeting out of every four. Attend meetings or any educational activity of the society upon payment of the appropriate fee. Attend any non-medical meeting or activity conducted by The Society during the annual meeting or any scientific meeting. These activities may be subject to an additional charge. Contest for any elected post of the society. Participate and vote in the Business Meeting of The Society. Be a member of the Executive Board or Chair or member of any committee/ subcommittee of the Society, subject to election by the Nominating Committee. Propose to the Chair of the bylaws committee, amendments to the constitution of The Society for the consideration of the Executive Board. APPLICATION Applications for Active Membership shall be made to the Chairperson of the Membership Committee and shall be accompanied by a curriculum vitae and letters of recommendation from two Active Members (at least one of whom is from a different institution) of the Society. These shall be reviewed by the Executive Board and referred to the members during the Business Meeting for approval. Applicants for Active Applicants for Active Membership are encouraged to present a scientific paper at one of the regular meetings of the Society. MEMBERSHIP FEES The fee for the active membership shall be decided in the Executive Meeting and approved in the business meeting. The fees may be revised from time to time. The website or the Treasurer of the society may be consulted for the currently applicable fees. Individuals coming from Low and Lower-Middle Income Countries, as specified by the World Bank, are eligible for a reduced annual fee for which, if they so choose, they may apply. The annual fee of the Low and Lower-Middle income countries’ members shall be adapted in accordance with the annual report of the World Bank. ELIGIBILITY: This is a temporary category of membership. Candidate Members are neurosurgeons either still in training or recently graduated, who are in accordance with the purposes of the ISPN and who will participate in its activities. Candidate members are expected to participate in all the activities of The Society. The member will be expected to attend at least one meeting out of every four to be eligible for upgradation to Active Member status. Participate in the Activities of the Society with the exception of the Business meeting which they may attend but at which they may not vote. Attend meetings or any educational activity of the society. These members may not hold any office on the Executive Board of the Society but may attend Committee meetings of the Society at the invitation of the appropriate Chairperson. However, they will not be able to vote at these meetings. APPLICATION Applications for Candidate Membership shall be made to the Chairperson of the Membership Committee and shall be accompanied by a curriculum vitae and letters of recommendation from two Active Members (at least one of whom is from a different institution) of the Society. These shall be reviewed by the Executive Board and referred to the members during the Business Meeting for approval. Applicants for Candidate Membership are encouraged to present a scientific paper at one of the annual meetings of the Society. Applications for candidate membership shall be accompanied by a curriculum vitae and the recommendation of two Active Members (at least one of whom is from a different institution) of the ISPN. Under certain circumstances it is possible that someone wishing to apply for Candidate membership may not be able to obtain support from 2 active members. In these circumstances, whilst the other criteria for application will remain the same, the applicant may apply directly to the President of the Society who will consider the application under the advice of the Membership Committee Chairman. DURATION OF CANDIDATE MEMBERSHIP. Candidate Members may not continue in this category for more than five years, but may at any time become Active Members upon recommendation of the Membership Committee and demonstration that they meet the conditions outlined in Section 1 of this article. MEMBERSHIP FEES The fee for the candidate membership shall be decided in the Executive Meeting and approved in the business meeting. Individuals coming from Low and Lower-Middle Income Countries, as specified by the Word Bank, are eligible for a reduced annual fee for which, if they so choose, they may apply. The annual fee of the Low and Lower-Middle income countries’ members shall be adapted in accordance with the annual report of the World Bank. ELIGIBILITY Applicants shall be a medical doctor, be in accordance with the purposes of the ISPN, and express a desire to participate in its activities do not fulfill the requirements for active or candidate membership. Associate members are expected to participate in all the activities of The Society. They shall be active in related pediatric specialties (for example, pediatrics, neurology, psychiatry, endocrinology, ophthalmology, neonatology, radiology, or oncology and such). Associate members do not have any voting privileges. Applicants for Active Membership are encouraged to present a scientific paper at one of the annual meetings of the Society. MEMBERSHIP FEES The fee for the associate membership shall be decided in the Executive Meeting and approved in the business meeting. ELIGIBILITY Corresponding Members shall be individuals who are chosen because of their devotion and contributions to Pediatric Neurosurgery. Participate in the Activities of the Society with the exception of the Business meeting which they may not attend and at which they may not vote. Attendance at the annual meeting is not mandatory. These members may not hold any office or vote during any meeting nor are they eligible to be the chair or member of any committee or subcommittee. APPLICATION Applications for Corresponding Membership shall be made to the Chairperson of the Membership Committee and shall be accompanied by a curriculum vitae and letters of recommendation from two Active Members (at least one of whom is from a different institution) of the Society. These shall be reviewed by the Executive Board and referred to the members during the Business Meeting for approval. MEMBERSHIP FEES These members are exempt from paying the annual fees. ELIGIBILITY Upon attaining the age of 65 years or upon retirement from full time clinical practice, Active and Associate Members may be appointed to Senior Membership upon the written request of the member and with the approval of the Executive Board. Over age 65 years at the commencement of the annual meeting the application is made or retired from neurosurgical practice. Fully up to date with membership dues. Continuous membership in the ISPN over the past 10 consecutive years before requesting this change of status. Attend any nonmedical meeting or activity conducted by The Society during the annual meeting or any scientific meeting. These activities may be subject to an additional charge. These members may not hold any office except that of the Historian of the society nor are they eligible to be the chair or member of any committee or subcommittee. These members may vote during the annual meeting. Attendance at annual meetings is not mandatory. MEMBERSHIP FEES These members are exempt from paying the annual fees. Upon payment of the appropriate fee to the Treasurer they may receive either the electronic or printed version of Child’s Nervous system. To be eligible the unanimous vote by the Executive Board after the written request of ten or more Active Members of the ISPN is needed. The ballot for the election shall be held at the Annual Business Meeting of the ISPN. Affirmative vote of three quarters of those present shall be required for election. Participate in activities of The Society but may not attend the annual business meeting unless at the invitation of the Executive Board. Attend any non medical meeting or activity conducted by The Society during the annual meeting or any scientific meeting. These activities may be subject to an additional charge. Be members of any standing/Special subcommittee. ELIGIBILITY Allied Health Professionals such as Nurses, Physical and Occupational Therapists and other associated disciplines may join the Society. These members are eligible to attend the meetings of the society at reduced rates which will be reviewed periodically. These shall be reviewed by the Executive Board and referred to the members during the Business Meeting for approval. MEMBERSHIP FEES The fee for this category of membership shall be decided in the Executive Meeting and approved in the business meeting. The applications of all candidates who request admission to the Society must be routed through the Chair of the Membership Committee. The eligibility for the various membership categories have been enumerated in each article. The applications shall then be reviewed and approved by the Executive Board and the names will be placed on the ballot for election at the Annual Meeting. Membership shall be terminated by resignation, removal from the roll, expulsion, change of professional standing or lack of participation in the Society. Any member wishing to resign from the Society shall submit his/her resignation in writing to the Secretary, who shall present it to the Executive Board at the next meeting. No member’s resignation shall be accepted until his or her dues are paid. Any member who is more than two years in arrears in payment of dues, in spite of having received at least three notices to pay, shall be removed from the roll of members and notified by the President. Reinstatement of membership will not be allowed unless previously owed dues are paid. A member may be censured, suspended, or expelled from the ISPN if he or she is stripped of either his or her professional license or academic degree, if he or she is proven to have caused damage to the ISPN by conscious acts, or if there is conclusive evidence that he or she has acted in a manner derogatory to the reputation of the ISPN or any of its members. A motion for censure, suspension or expulsion must be presented to the Executive Board by at least two members. On receipt of such motion the Secretary will notify the member of the lodged motion and its particulars. The motion will then be presented to the Executive Board at their next meeting. The member charged may be present and may be accompanied by counsel. He or she may present any evidence he or she feels appropriate and will be given the opportunity to call witnesses in his or her defense. The motion will be forwarded to the membership for their consideration only by unanimous vote of the Executive Board. A secret vote will be held at the same Annual Meeting’s Business Meeting. A two-thirds majority vote of the members present will be required to pass the motion. Before such a ballot, the member shall be given the opportunity to make any statement he or she desires and may be represented by counsel if he or she so desires. There shall be no examination of witnesses or introduction of further evidence before the membership. A member who changes his or her professional standing shall be required to give due notice of his or her new status. If such notice is not given, a motion for reconsideration of his or her membership may be presented to the Executive Board by at least two members. The Executive Board may take, at the Annual Business Meeting, a recommendation for a change in the class of membership or a termination of membership. This will be decided by a simple majority of the members present and voting. An active member who does not participate in the ISPN activities during four consecutive meetings may be removed from the membership roll, providing the member has received due notice of the meetings and does not provide the Secretary justification, in writing, for his absence. Termination of membership in such a case shall be confirmed at the Annual Business Meeting upon recommendation of the Executive Board. The control of the ISPN shall be vested in the Executive Board, which shall manage the affairs of the ISPN and perform its duties in accord with the purposes and principles and other requirements of the Bylaws of the ISPN and in conformity with the provisions of the Not-For-Profit Corporation Law of the State of New York, USA. The ultimate authority however shall rest with the members attending the Annual Business Meeting. The Executive Board will manage the day to day running of the society with the mandate obtained by the members of the Society at its annual business meeting, in accordance with these bylaws and in accordance with the Mission Statement and ethos of the Society. The officers of the Society shall consist of the President, the President-Elect, the Chairperson of the Annual Scientific Meeting, the Immediate Past-President, the Secretary of the Society, the Treasurer of the Society, and the Chairpersons of the Audit, By-Laws, Membership, Scientific Program, Liaison, Communication, Education, Ways and Means, Ethics & Morals Committees and Allied Health Professionals Section. The officers of the Society, including the Chairpersons of the Standing Committees, shall constitute the members of the Executive Board. All officers shall be elected or appointed to hold office until removed by action of the Executive Board. Each officer shall hold office for the term for which he or she is elected or appointed and until his or her successor has been elected or appointed. Note that each member of the Executive Board can, at any one time, hold only one position on the Executive Board. Each of these members of the Executive Board shall have voting rights. In addition to the above the Historian of the Society, the Editor of the Society Journal and the Editor of the Guide are invited to attend the Executive Board meetings as non-voting members. A representative of the Society’s PCO shall be invited to attend part of the Executive Board meetings as appropriate but without the right to vote on any issue unless invited by the President. Officers of the Society are proposed by the Nominations Committee, which is chaired by the immediate Past President, approved by the Executive Board and then ratified by the membership at the Annual Business meeting. They shall be members of the Society in good standing, who have paid their annual fees and who show an active participation in the Society’s activities. They are expected at all times to act in the interests of the Society and to maintain the highest Professional standards. If for any reason a member of the Executive Board is not able to complete his or her term of office then the Board can appoint another member of the Society to take over and fulfill the functions of that member until the next annual meeting when the advice of the nominating committee will be considered. The Executive Board shall meet annually on the day preceding the Society’s Annual Scientific Meeting. Additional virtual meetings may be called by the President or Secretary during the year, in order to transact business and update Board members on the activities of the Society. A meeting will be classified as a quorum for voting purposes provided that more than 50% of the Executive Board are present. However, the Secretary may exercise his or her discretion in this matter. Motions will be carried if the majority of those present are in favor. In addition, the Secretary may call upon Executive Board members to discuss and vote on issues electronically between meetings. A majority vote in approval of a motion is required for that motion to be passed. If the votes are equally split in any matter which has been voted upon, the vote should be suspended subject to further discussion and until such time as consensus can be reached. If the voting remains equal the President of the Society shall be called upon to make a decision in the best interests of the Society. All decisions made in Board meetings shall be considered as the view of the Board and will be binding to all board members subject to ratification at the Annual Business meeting. The proceedings of the Executive Board must be reported to the membership of the Society by the Secretary and ratified at the Annual Business meeting. Sub-Committees may be constituted as and when the need arises. Such Sub-Committees, standing or special, shall be appointed by the President of the Society with the approval of the Executive Board when deemed necessary to carry out the work of the Society. The President shall be an ex-officio member of all the Sub-Committees and he or his representative shall report directly to the Executive board. No member of the Executive Board except for the President, President-elect and the Chairperson of the Annual Scientific Meeting, the Historian, and the Editors of The Guide and Child’s Nervous System may serve more than five consecutive years on the Executive Board. The word “term” in this and in the constitution refers to the one year interval between the ends of two successive Annual Business Meetings. The President shall be the chief executive officer of the ISPN. The President shall hold office for one term and cannot be re-elected. The President shall preside at all meetings of the board and all official functions of the Society as and when required. He or she shall Officiate in all functions of the society. He or she shall have the control of the general management of the affairs of the Society. The President will preside over the Executive Board and Business meetings of the Society. The President shall ensure the Society’s business meetings are conducted in a democratic and orderly fashion. The President will liaise closely with the Chairperson of the Annual meeting during the planning and execution of the meeting. The President will be the chief Liaison Officer in the society’s interactions and relations with other societies. The President shall be the chief arbitrator in all disputes or differences of opinion within the Society or in the Society’s relationship with other organisations. The President shall see that all orders and resolutions of the board are carried into effect. The President-Elect shall be elected for one term at the end of which he or she shall automatically succeed the President on completion of his/ her term of office. The President-Elect shall perform such other duties as the Executive Board shall prescribe and subject to the direction of the President. He /She shall work in close cooperation with the members of the Board and be in frequent communication with the President in order to ensure continuity in the running of the Society. During the absence or disability of the President, the President-Elect shall have all the powers and functions of the President. The Chairperson of the Annual Scientific Meeting shall be the person selected to organize the Annual Scientific Meeting of the Society. He or she shall hold office for one year and cannot be re-elected to the same office. The Chairperson of the Annual Scientific Meeting shall be responsible for working with the Society’s PCO to make arrangements and providing facilities for the Society’s Annual Scientific Meeting. He or she will be appointed for one term and may not be re-elected to this post. He or she shall have the right to appoint others to assist in arrangements for this meeting. The Chairperson of the Annual Scientific Meeting will strive to ensure that the annual meeting fulfills the Mission statement of the Society and provides the membership with a venue and facilities conducive to scientific discourse. He or she shall work in close agreement and co-operation with the Chairperson of the Scientific Program Committee, which is responsible for deciding the content of the scientific program of the Annual Scientific Meeting. The Chairperson shall also be responsible for ensuring local support for the meeting and contributing to the selection of the Invited Speakers. The Meeting chairperson shall liaise and cooperate with the PCO of the Society to ensure smooth running of the meeting and keep the Executive Board and the President appraised of developments during the planning of the meeting. The Secretary shall be proposed by the Nominations committee from members in good standing in the society and who regularly attend the Annual meetings and are seen to be active within the Society. The Secretary of the Society shall hold office for two terms and can be re-elected. Be responsible for conducting the routine and day to day affairs of the society. Ensure the activities of the society are carried out in a smooth and coordinated manner. Shall ensure the dictates of the Board and President are carried out. Shall liaise with the Annual Meeting Chair and the Scientific Chair to ensure smooth running of the meetings. Shall record the minutes of all official meetings and maintain them. Shall inform the members of the Board about the timing and location of the Annual board meeting and arrange, as necessary, virtual Executive Board meetings using a suitable electronic portal. Shall inform all members of the agenda and location of the annual Business meeting. In conjunction with the President to act for and on behalf of the society. Shall inform the membership of the activities of the society and the actions and decisions of the Executive Board. The Treasurer shall be proposed by the Nominations committee from members in good standing in the society and who regularly attend the Annual meetings and are seen to be active within the Society. The Treasurer of the Society shall hold office for two terms and can be re-elected. The said funds shall be deposited in the name of the Society in such bank or trust company as the Executive Board may elect. He or she shall, when duly authorized by the Executive Board, sign and execute all contracts in the name of the Society, when countersigned by the President. He or she shall also sign all checks, drafts, notes, and orders for the payment of money, which shall be duly authorized by the Executive Board and shall be countersigned by the President. In addition and with the approval of the Secretary, he or she may arrange electronic payments from the Society’s checking account and transfers from the deposit accounts. He or she shall be required, at all reasonable times, to show his or her current set of accounts to any Executive Board member of the Society who so requests. At the end of each corporate year, he or she shall have an independent audit of the Society accounts carried out in compliance with US tax law. In addition the records of the Treasurer should be submitted to the Audit committee in advance of the Annual Executive Board meeting of the Society in order that they may be ratified. The Treasurer will be required to present a report to both the Executive Board and the Business meeting of the membership during the Annual Scientific meeting. The Historian, Editor of the journal and the Guide shall be non-voting members. They will hold office for one term and may be re-elected. The By-Laws Committee shall consist of the elected Chairperson and two active members appointed by the Executive Board. It shall be the duty of this Committee to review the Constitution and By-Laws, to seek proper advice when indicated, and make recommendations as to changes. The Membership Committee shall comprise the elected Chairperson and two other active members appointed by the Executive Board. It shall be responsible for considering nominations for membership. It will study every particular case in accordance with Articles II and III of this Constitution and Bylaws and shall make recommendation for further action to the Executive Board. The Scientific Program Committee shall comprise the elected Chairperson and an ex-officio member (the Chairperson of the Communication Committee) with the addition of any other members of the Society requested by the Chairperson of the Committee and approved by the Executive Board. The Scientific Program Committee shall be responsible for preparing the scientific program of the meeting as. The Scientific Program Committee will allow generous time for open discussion in the scientific program, shall decide the latest date for submission of manuscripts, establish the means of abstract submission and inform the membership of same, select from submitted abstracts papers for oral or poster presentation, and organized the order of oral presentations. It shall work with the Chairperson of the Annual Scientific Meeting to determine the length of time for the oral presentations so as to accommodate to the Chairperson of the Annual Scientific Meeting’s plans for special presentations and social events. It shall make available to the Chairperson of the Communication Committee and the editorial office of the Society’s official journal such material as may be decided by the Executive Board. The Liaison Committee shall be composed of the elected Chairperson and other active members representing Africa, Asia, Australasia, Europe, North America and South America, appointed by the Chairperson and Executive Board. It shall be the duty of the Liaison Committee to study areas of common interest and also the Committee shall make recommendations for activities to be considered by the Executive Board. The Education Committee shall comprise the elected Chairperson and as many members as he/she may wish, subject to approval by the Executive Board. The Education Committee shall be responsible for gathering information, conducting personal or co-operative studies or surveys, and for organizing any special meeting, which would enable it to accomplish the purposes of the ISPN. The Communication Committee shall comprise the elected Chairperson and as many active members as he/she may wish, subject to approval of the Executive Board. Subject to direction of the Executive Board, the Chairperson of the Communication Committee shall be responsible for the ISPN’s website and for the publication of any such publications as may be requested by the Executive Board. The Ethics & Morals Committee shall comprise the elected Chairperson and as many active members as he or she may wish (with approval of the Executive Board). Subject to direction of the Executive Board, the Chairperson of the Ethics & Morals Committee is vested with full responsibility for evaluating specific situations and making recommendations to the Executive Board for consideration and action. There shall be a Nominating Committee, chaired by the President of the ISPN, comprising the members of the Executive Board, augmented by the Immediate Past President. The Nominating Sub-committee shall be constituted by three past presidents who are not members of the Executive Board and who were most recently in office, and two members of the Society, not members of the Executive Board who shall be elected annually at the preceding Annual Business Meeting of the Society and who shall not be eligible for consecutive re-election. This Subcommittee shall request nominations for all offices before the Annual Meeting of the Executive Board. The Nominating Sub-committee shall prepare a slate of officers and committee chairmen who shall be presented to the Nominating Committee at the Annual Meeting of the Executive Board for assessment and approval before submission to the Annual Business Meeting. The slate of the Nominating Subcommittee can be modified by the Nominating Committee by adding names but not by deleting names. Members may suggest other candidates in writing prior to or by nominating at the Annual Business Meeting. The candidates will be voted on individually at the Annual Business Meeting. Reminder that care must be taken when preparing the proposed slate of officers to ensure that one individual is not unintentionally selected for two different positions in the Executive Board, which is not allowed as stated in Article IV, Section 2. An Auditing Committee of three members shall be appointed by the President of the ISPN before each regular meeting and shall have the duty of auditing the Treasurer’s accounts at the close of the calendar year in which that regular meeting was held. The appointed Chairperson shall then report to the next Annual Business Meeting. A Ways and Means Committee shall consist of a Chairperson and two members appointed by the President for one term. It will be their responsibility to identify worthy recipients of scholarships to attend the annual meeting and present these applicants to the Executive Board for its approval. The member shall represent all allied health professions enumerated earlier. This member shall have voting rights only as far as this section is concerned and not with regard to other members. The Historian shall be appointed by the Executive Board upon recommendations of the Nominating Sub-committee, as a non-voting member of the Executive Board. The Historian shall preserve the archives of the ISPN and shall prepare from time to time a report at the request of the Executive Board. They will be responsible for the journal of the society and the guide respectively. They may attend the Board meetings but will not have any voting rights. A meeting of the Executive Board presided over by the President of the Society. A Scientific Meeting, presided over by the Chairperson of the Annual Scientific Meeting. A Business Meeting of the Society, presided over by the President of the Society assisted by the Secretary. Educational and teaching meetings may occur at any time during the year and similarly virtual Executive Board meetings may be called at any time by the Secretary, subject to advance warning. English will be the language for the conduct of all meetings. The annual Executive Board meeting will be held the day before the commencement of the Scientific Meeting and will be presided over by the President of the Society. All the members of the Executive Board are expected to attend the meeting. Apologies must be given to the Secretary prior to the meeting. At this meeting the Meetings Chairman from the previous term will be invited to submit a meetings report for the previous year. A representative of the Society’s PCO will be invited to attend at the appropriate stage during the meeting at the request of the Secretary. As previously stated the Historian and the editors of the Guide and Child’s Nervous System are requested to attend in a non voting capacity. In addition to the Annual Executive Board Meetings, virtual Executive Board meetings will be scheduled at least twice during each term. These will be arranged by the Secretary on discussion with the President and following a poll of the Executive Board members to determine an appropriate time. These meetings should take place using an appropriate video link and will follow a previously circulated agenda. The rules concerning the function of the Executive Board meetings are outlined above in Article 11 section 1. The reading of the minutes of the previous meetings, Business Meetings and special extraordinary meeting if any has been conducted. Reports of the Officers and Committee Chairmen. Election of Officers and Committee Chairmen. The Minutes of the meeting shall be the responsibility of the Secretary. The Virtual Executive Board meetings shall also follow an agenda previously circulated by the Secretary and decided upon in consultation with the President and by a call for items from the Board members. These meetings will not follow a routine format but they may involve voting and the minutes for the meetings will again be the responsibility of the Secretary. The Chairperson of the Annual Scientific Meeting and the Chairpersons of the Communication, the Scientific Program and Liaison Committees, and the Treasurer shall constitute the Organizing Committee of the Annual Meeting. The Organizing Committee shall be responsible for making the arrangements and providing facilities for the Annual Meeting. It shall have the right to appoint others to assist in arrangements for this meeting. A full (or one and a half) day pre-conference symposium, the subject of which to be decided by the Organising Committee. The main conference will consist of two full day and two half day sessions of scientific presentations, invited lectures and discussions. All the abstracts submitted to the meeting will be screened by the Chairperson of the Scientific Committee and he/ she will distribute the abstracts amongst the members of the Scientific Committee who will in turn scrutinise and grade the abstracts. The accepted abstracts will be allocated, according to their quality, for either a platform presentation, a Flash presentation or a Poster Presentation. The programme will be finalised by the Scientific Chairperson and will include accepted presentations and invited lectures. It may be necessary, in order to cover the full programme, to run parallel sessions. The registration fees for the meeting shall be proposed by the Annual Meeting Committee in consultation with the Professional Conference Organiser and agreed by the Executive Board. Full registration entitles the participant to attend and participate in all scientific sessions, visit trade and exhibit areas, and attend the Opening Ceremony and Gala dinner. An additional fee may be charged for attending other social, and sports activities and post congress workshops and tours. Speakers invited by the Scientific Program Committee shall have the right to attend the scientific meeting with the same privileges as other members of the Society but shall pay no registration fees. A President’s Dinner will take place on the evening prior to the Welcome reception and will be at the invitation of the meeting’s Chairperson. Locations for future meetings will be decided by the Executive Board upon the recommendation of the President-Elect. The Society will hold an annual Scientific meeting at a time and place proposed by the Executive Board at least 2 but no more than 5 years in advance of that proposed meeting. The Annual Meeting of the Society shall take place in different locations and will usually visit each Continent in turn. Applications to host a meeting should be made by Societies or Institutions with an individual named as lead representative but with the full support of that institution and the support of any National Pediatric Neurosurgical Society or Group that exists. Meetings will not normally return to the same city or institution unless a period of at least 20 years has elapsed. Applications are submitted to the Secretary and then assessed for suitability by the PCO who will then advise the President-Elect who in turn will advise the Executive Board. The information required for the submission will be determined by the Secretary and the PCO. The result of the decision concerning the future meeting site is reported to the membership of the Society at the next annual Business Meeting. Should the situation arise whereby it is not be possible to hold the Annual meeting, Executive Board, Scientific and Annual Business meeting at the allotted venue due, for example, a natural disaster, political instability or civil unrest, then the Executive Committee can look in to, manage and take a decision on the relocation of the meeting in consultation with the Society’s PCO. Every effort should be made to hold the annual meeting but should this not be possible a virtual Executive Board meeting should be held with a formal transfer of responsibility to the President-Elect. The Nominations committee will also make the recommendations for the new Officers of the Society and the Secretary will take steps to ensure that the recommendations of the Executive Board are presented to the membership and ratified by electronic poll. The decision to withdraw a meeting from a selected site or to cancel the annual meeting can only be decided by the Executive Board and should be communicated without delay to the membership. If the interval to the meeting is more than 2 years a site should be selected within the same country or continent as the original venue. If bids were previously accepted from other sites in that country or Continent, they should be considered preferentially but new bids may be considered. If the interval to the meeting is less than 2 years the meeting site of the annual meeting, and all subsequent meetings, is moved one year forward. The Conference shall be insured against all eventualities including cancellation or postponement for any reason. It will be the responsibility of the PCO to insure the conference. If a conference is cancelled refund of the fees will be in accordance with the terms and conditions applied to the original application. Nursing Symposium A symposium for nurses and allied health professionals will he held during the annual meeting. This will be held as a separate session during the annual meeting. The rules for acceptance of the abstracts will the same as the rest of the membership. The abstracts will be reviewed by the Chairpersons of the Allied Health Professionals section and the Scientific Committee. Allied Health Professionals may also present in the other sessions and other members may present in the AHP session. A call to order, acknowledgement of those present and a listing of any apologies. Board meeting shall be read by the Secretary. Reports of the Officers and Committee Chairmen and matters arising including acceptance of these reports. Election of new members upon the recommendation of the Membership Secretary. The members must be able to express their views at the meeting in an open and uncensored fashion. If during voting at the Business meeting the votes cast are equal the President may, at his discretion, either suspend voting to enable further discussion or, if he or she feels that making a decision at that moment in time is in the best interests of the Society, he may cast the deciding vote. Journal The current official journal of the Society is Child’s Nervous System. The Editor-in-Chief will be a non-voting member of the Executive Board, and will report annually to the Executive Board on the Journal’s activities. Members can access the journal (as a hard copy or in the electronic form) based on the category of membership and the annual fees as applicable. Guide The Society publishes the Guide, an online textbook, as part of its educational mission. The Executive Board will appoint the Editor-in-Chief of the Guide. The Editor will be a non-voting member of the Executive Board and will report annual to the Executive Board on the Guide’s activities. status and developments. These Constitution and By-Laws may be amended at any regular meeting of the Society by a two-thirds vote, provided that the amendments have been submitted in writing at the previous regular meeting. Minor amendments and additions to this Constitution and Bylaws, which do not controvert or alter the sense of the present document, may be made at any meeting of the Executive Board on the affirmative vote of two-thirds of the members present. Only Active, Associate, Senior and Allied Health Profession members may propose amendments to the constitution. The proposed amendment shall be submitted to the President and Secretary in writing at least 3 months before the meeting stating clearly the existing article, the proposed change and the reason for change. This will be placed before the Executive Board for discussion and submitted to the members during the business meeting with the recommendations of the Executive Board. The Society has chosen, following the recommendation of the Executive Board, to take on a Professional Conference Organiser (PCO), who will be selected following a tendering process where several options are considered. They will work in close cooperation with the Chairperson and Committee of the Annual Meeting to ensure success of all aspects of that annual meeting. The PCO may also be requested to assist with other aspects of the management of the Society such as Membership, Scholarship applications to attend the annual meeting, the website and social media, virtual Executive Board meetings and membership polls. Active and Senior Members of the Society may request a copy of the contract of engagement of the PCO by applying to the Secretary.